1. is it necessary to do PMP first and then ACP or vice-versa. 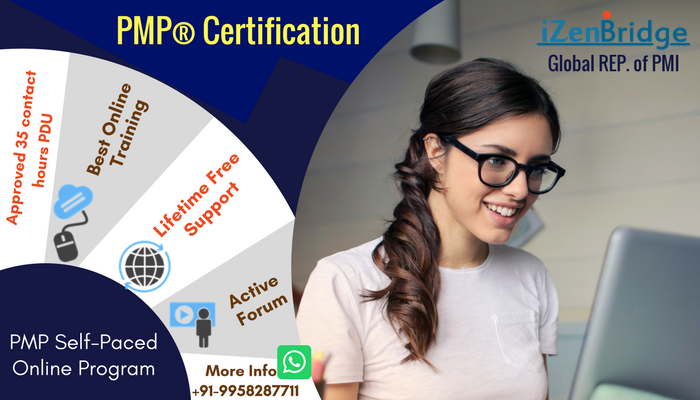 As I see most of the individuals in professional forums holding both the certifications. 2. For the PMI-ACP application, what information is required to be filled-in. Does it require any information to be furnished from my organisation. I have recently moved moved to a new company. It would take time, for my new boss & HR to furnish such informations if any required and hence this question. 3. There have been changes in the PMI-ACP syllabus recently. So have the materials that come from izenbridge, been accordingly updated. 4. Do you provide a soft copy of MikeGriffiths Text along with the kit - from Izenbridge. 5. Are any pre-requisite trainings / books to be referred, prior to enrolling for your PMI-ACP course. I have done CSM. Any other above this required ? 6. What would be duration of each video ? 7. would there be any online live discussions that would facilitated during the course of the training. This would enable all the others also to inter-act with other , a kind of Virtual class-room. 8. Can the materials like the flash cards, soft copy versions that come as a kit - printer friendly. I am more comfortable -reading a book, rather than reading a soft-copy - after a day long office hours at the laptop. No, you can do these certificate in any sequence. There is no restriction. You need to provide your project wise experience details, What you did in those projects which align with PMI-ACP content outline. You need to verify your application by organization people only when the application gets selected in the audit. Yes, after enrollment, you can write to support@izenbridge.com to get complementary copy. Our course is complete. You dont need anything before enrollment. The course has everything to pass the exam at the shortest possible time. Most of the videos are of 10-15 minutes. We have an exclusive forum to discuss all doubts. Earlier we used to have Live session to clarify doubts, but our course and forum has become so rich that very fewer people started registration in such sessions. So we stopped doing it. Yes, you can download lesson notes and flashcards. This helps me to plan my course of study and enrollment for the PMI-ACP.